Affordability and availability are two of the biggest problems facing caregivers looking for homes that are accessible for a child or adult with special needs. Families who struggle to find accessible, move in-ready homes often have to settle for a home that needs modifications, which can be an extremely expensive proposition if you’re unable to find financial assistance or a government program to help defray the cost. Online resources for finding accessible homes are scant, though there are a few that allow you to do targeted searching based on specific criteria. In general, house hunting for families with a special needs individual can be difficult. An accessible home is one that covers a wide range of requirements, with specific features and/or technologies to help accommodate people with mental or physical disabilities. Such accommodations should include kitchen counters and sinks that sit low enough to be accessible for an individual in a wheelchair. Other such features might include widened doorways (at least 32 inches across, according to the Americans with Disabilities Act, or ADA), roll-under stoves, wheel-in showers and electrical outlets that are high enough for ready access. For an individual with limited mobility, front stairs create an obstacle requiring an entry ramp, a feature that can be quite difficult to find. Some houses may feature a few of these accessibility and safety features, but not all do, making it necessary to complete the work by paying a contractor to make needed modifications (or doing them yourself). Finding a fully-accessible home often does little good, because they can be very expensive whether you’re buying or renting. Well-informed real estate agents who have experience working with disabled individuals often are the best (and sometimes the only) resource for families looking for accessible housing. 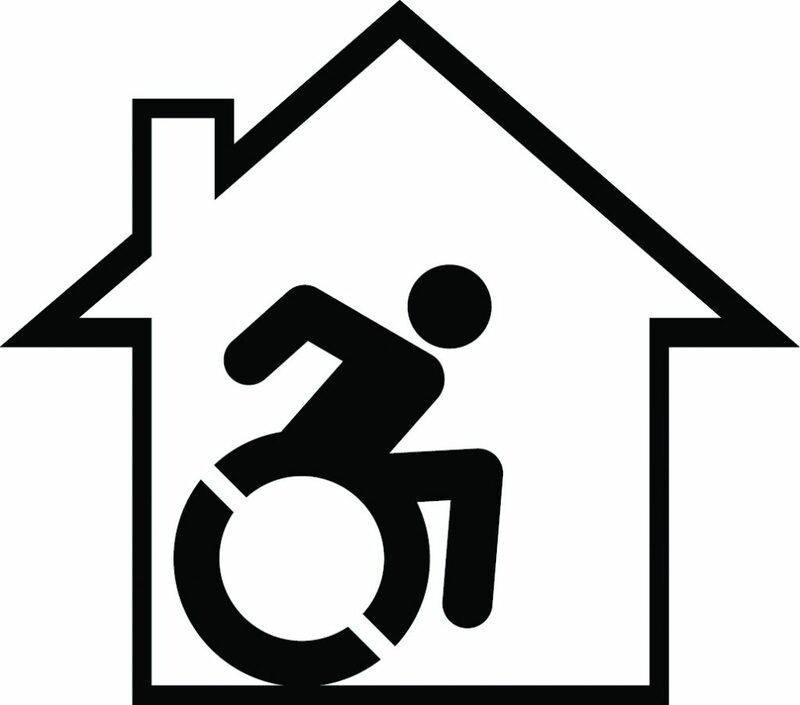 However, there are a few websites offering detailed information about houses with the right accessibility features. Barrier Free Home is a searchable site with detailed information about accessible housing throughout the United States. Listings feature basic details such as square footage, number of bedrooms, if there’s a garage, etc., as well as information specific to disabled accessibility, such as whether it’s ADA compliant, if it has a level entry, roll-in shower, roll-under sink, bathroom safety features, and more. AMS Vans provides detailed information about wheelchair-accessible housing and assistance programs, and the Department of Housing and Urban Development (HUD) also offers online resources for people seeking accessible housing. There are a number of programs administered by HUD that are aimed at making housing more affordable and accessible for America’s disabled/special needs population. Section 811 is dedicated to helping product housing for very low-income, non-elderly individuals who have significant disabilities. Under Section 811, renters pay 30 percent of their adjusted income, thereby ensuring affordability. HUD’s Section 8 Housing Choice Voucher program also helps very low-income families, people with disabilities and the elderly afford housing in the private market. Those who participate in Section 8 find their own housing but pay only 30 percent of their income. A lot depends on finding the right company to handle your move. It requires time spent online doing research; reading customer reviews, investigating a moving company and its complaint history, verifying its certifications and insurance, and getting quotes before making a decision. A reputable company should take inventory of all your belongings and do a walk-through of your home to get an idea of how much needs moving. Never pay a cash deposit in advance, and avoid packing costs for boxes and packing materials. Getting everything straightened out in advance will help make sure all goes well on moving day. Finding accessible housing if you have a special needs family member can take time and patience. Becoming familiar with your rights and available resources can help you find properties that address your needs and make it easier for a disabled individual to live in happiness and convenience.